I recently added another seed bead loom in my Etsy shop. It is a popular type of loom and is so much fun to use. The loom I have for sale is brand new and never opened. It also comes with a great little starter kit that includes some seed beads, weaving thread, needles, threader, directions, and a sample graft chart! The loom is 2 and a half inches wide and almost 12 inches long. Making it a great size to do projects on, yet it is also small enough it is easy to travel with. 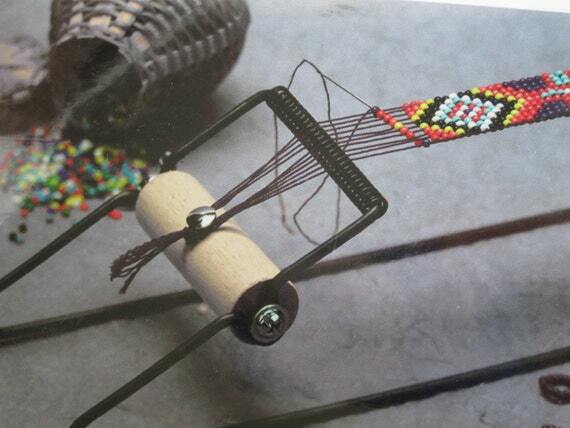 This is a wonderful loom for doing seed bead weaving with. You can make many projects from woven necklaces, bracelets, belts, headbands, and more! It is not hard to learn to use, and you can begin making great projects in no time.